It has long been an article of faith on the Right, including for me, that the Left has undemocratically imposed its views on the country for decades by using the Supreme Court as a super-legislature. I had a discussion with a friend of mine this past weekend, an actual centrist (bizarre, I know), who suggested this view is wrong, or rather exaggerated. He challenged me to demonstrate my position, stipulating that it is obviously true with respect to abortion. For the most part, I failed his challenge, but today we will explore to what degree and why it matters. [Admin’s Note: This is a guest post by Jared, who has a tendency to drift between British and American spellings, but who has recently been trying to standardise (ha ha) on the former.] 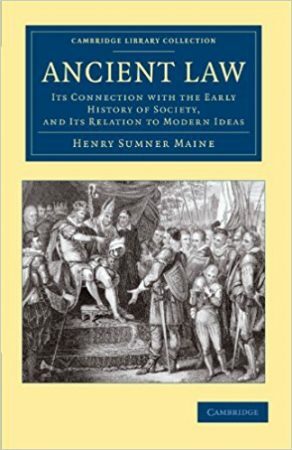 One of the most interesting topics to me, a total neophyte in the field of law, is the comparison between civil law (i.e., law decreed by a sovereign), and common law (i.e., law constructed by judges in the Anglo-American tradition). The topic is deep and weighty, and one in which it’s hard to cleanly resolve a question along the lines of which might be “better.” Everything is subtlety and nuance, comparison of principles and implementation, and a noting of the successes and failures of each in history. 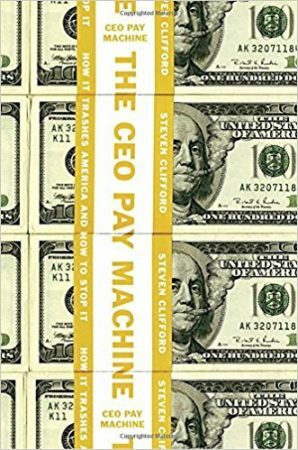 While pretty much everyone in this book who is rich and powerful comes off looking bad, it is less a tale of typical fraud, like a Ponzi scheme, and more a tale of human foibles. 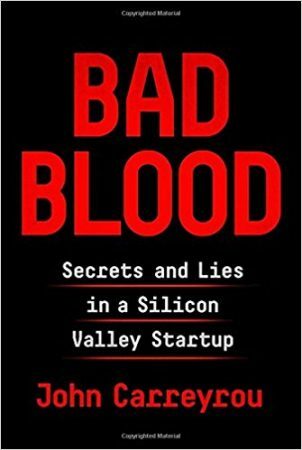 These were expertly played on by Elizabeth Holmes, a very young woman of little productive talent and no particular evident intelligence, but with a natural gift for sales and embodying the icy manipulative abilities of the sociopath. Fascinating stuff, all of it, and worth reading just to make sure that you don’t fall into a similar trap in your life. 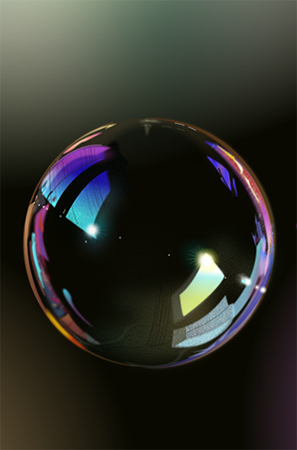 And, more broadly, the arc of Theranos has much to say about supposedly imminent advances in technology, from artificial intelligence to flying autonomous cars. [Admin’s Note: This is a guest post by Jared, who only recently realised it’s “servandus,” not “servadus.”] The Corpus Juris Civilis was a monumental achievement. Justinian I of the Eastern Roman or Byzantine Empire set out to collect and condense the disparate laws that had evolved in Rome, and then set them down in a coherent, authoritative text. He didn’t literally do it himself—he was the project’s executive (having imperium, at that), with the low-level work being delegated to an army of lawyers and legal scholars and clerks or what have you. The result was actually three texts: the Codex Justinianus, the Institutiones, and the Digesta, or the Digest. The Digest is, I believe, the largest—essentially an encyclopedia of Roman law, organized by topic and consisting of edited excerpts from renowned archaic jurists: Gaius, Ulpian, Julianus, Paulus, and so on. [Admin’s Note: This is a guest post by Jared, who is most definitely not a lawyer, nor a historian.] Henry Sumner Maine was an Englishman of the High Victorian era, i.e., the late 19th century. 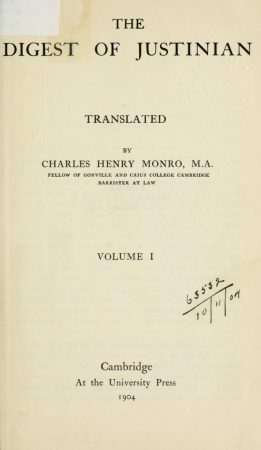 His Popular Government, a book discussing the properties and deficiencies of broad-suffrage democracy, is often recommended by reactionaries in the vein of Mencius Moldbug. He included Popular Government in a list of three books constituting the canon of his so-called “Froude Society” (of which I am apparently a deacon). But while Maine’s work has reactionary implications, it is never polemic. Maine was a sober-minded jurist and historian. The present book, his Ancient Law, is probably his best-known work, and the one most representative of his broader oeuvre. Maine tends to be a bit of a dry writer, but he never fails to deliver on the subject matter, and the book is a pleasure to read. [Admin’s Note: This is a guest post by Jared, a Canadian and grudging dilettante with too much time on his hands.] As I continue to re-evaluate my take on the economics of the 20th century, Coase’s work stands out as well as or better than it ever did. Ronald Coase is probably my favourite economist of all time; his work is arguably as foundational as Smith’s or Ricardo’s and was developed over just a handful of influential and easily-digestible papers. 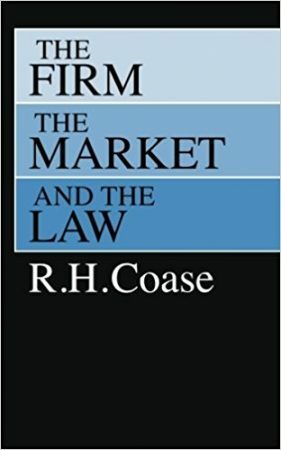 The Firm, the Market, and the Law is more or less a summary of Coase’s most important work, containing his famous The Nature of the Firm and The Problem of Social Cost, but also several other papers, plus ample commentary from Coase himself circa 1990. Coase died in 2013 at the ripe old age of 102. 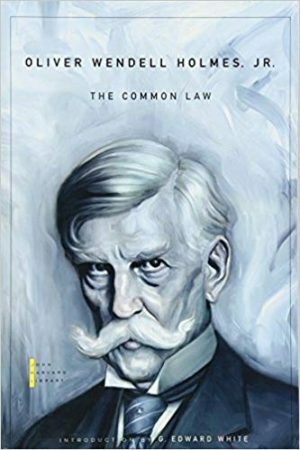 In this brief book, or rather pamphlet in the old political, Tom Paine-ish use of that term, law professor and well-known blogger Glenn Reynolds offers some thoughts on how the class structure of the judiciary affects judicial decisions. 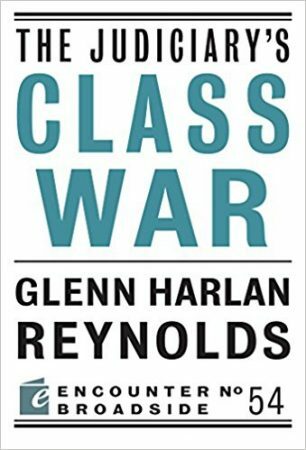 Rather than focus on the general class divide in American society, Reynolds focuses on that divide in the judiciary, which he shows is deeper than that in America as a whole. He believes the judicial divide is especially pernicious to our political system, and he offers some constructive solutions to the problem, although I think that those solutions both would be ineffective in practice and that the problems are deeper than Reynolds believes. In the past few years, a variety of liberal academics have adopted a Gorillas in the Mist sensibility when trying to understand conservatives. Like Dian Fossey, they creep, wearing a ghillie suit, through thick and steamy jungles alien to them, hoping to grasp what it is that makes these creatures tick. Sometimes they become fond of these primates, and in their own clumsy way, try to improve their lives by protecting them from threats they appear too dumb to see. Like Fossey, most of them are obsessives with tunnel vision, bound in chains by premises invisible to them. 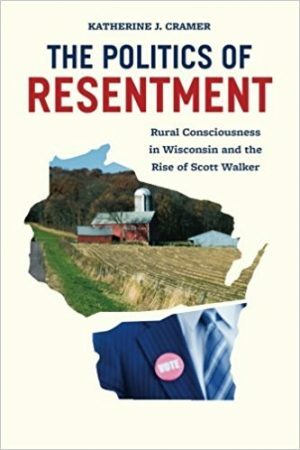 Katherine Cramer, author of The Politics of Resentment, fits right into this model, even if Wisconsin is a long way from Rwanda, and a lot colder. She offers us a book that is half morality play, half sociology study, and all clueless. Some years ago, I lived for a time in Oak Park, Illinois. Oak Park has for decades been filled with rich white liberals, who live just across the street from a City of Chicago neighborhood, Austin, that is filled with poor black people. Yet, for some reason the citizens of Oak Park simply can’t fathom, people from Austin almost never move to Oak Park. Who can say why? Well, Richard Rothstein can. 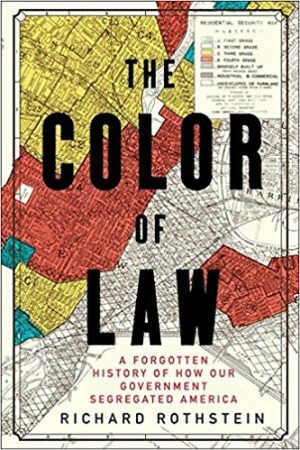 His book, The Color of Law, shows all the ways in which the racist government of Oak Park, and innumerable other government functionaries across the nation, have aggressively worked for decades to keep black people in inferior, segregated housing. Rothstein’s service is to precisely set out why this happened, how it was done, and what exactly the effects today are.